Mumbai, the city of my dreams has lots to offer to its people. The city just embraces strangers and is very welcoming in nature. Mumbaikars are definitely fast forward and are very competitive. You will be shocked to know that the city never sleeps. Mumbaikars are engrossed in their fast moving life, such that, time has never been a constraint for them. People land to Mumbai with a dream in their eyes and witness it getting fulfilled. The lifeline of mumbai i.e is the local trains are worth mentioning. Mumbai and local trains are synonymous. The Railways have a crucial role to play in the development of the city. Talk about festivals and Mumbai is second to none when it comes to Ganapati celebrations. The 11 days festivity is worth a watch. Hungry, how about trying some local vada pavs? You can find vada pavs in every corner of the street. Their unique taste will definitely spice up your taste bud. Try them out if you happen to visit Mumbai. If you are fashionista and love shopping, I cannot recommend you anything better than the fashion street. They have such awesome collection at an affordable price and I am sure they do not compromise on quality. If you are a party animal, visit some of the finest pubs of the country in Mumbai. The events will just mesmerize you. An evening at juhu beach can definitely rejuvenate you. Spend some Me time there. 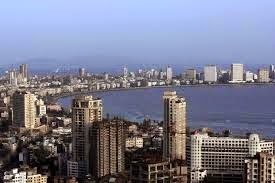 Mumbai is also a tourist centre and has lots of luxurious hotels for the travelers. Right from lodges to 7 star hotels, Mumbai had been successful in contributing to the hospitality industry. The Taj, Oberoi, Grand Hyatt, JW Marriott, the Leela are some of the finest Mumbai star hotels. Remember, the 26/11 Mumbai Terror attack which shook the entire nation. The terrorists targeted some of these hotels with an aim to completely devastate them along with the mankind. Unfortunately, Mumbaikars were far stronger than those insane attackers and remained united throughout the battle. The Mumbai hotels have great facilities to offer to its guests. They offer customized services to cater to the needs of the travelers. It attracts a lot of foreign tourists and thus the standards are set very high. The pool facility, car rentals, spas, delicious cuisines and a comfort stay are their main services. The hoteliers’ delight the guests with their pleasing personality and augmented services. The hotels are tied with many travel agencies who ensure that the guests are offered the best rooms and services depending on their budget. One can also book online or contact the hotel managers directly. It is not a wise idea to land in the city and hunt a hotel to stay, considering the high occupancy rate in Mumbai. Do book your hotels well in advance. If you have a dream and need some inspiration, get up, pack your bags and set off to Mumbai. The city in itself is influential and will constantly push you to achieve your goals. It is the land that has given us some of the finest bollywood actors, great entrepreneurs, politicians and great human beings. Mumbai is worth a visit!